I have a confession to make: I’m not really a morning person. Or even an afternoon person. If I could stay up all night and sleep until 5PM every day, I probably would—but most of the world doesn’t operate that way, so I work during the daytime. Crazy, I know. My number one staying awake during the day strategy probably won’t surprise you: Caffeine. Delicious, energy-giving caffeine. Strong coffee is usually my choice in the mornings, but afternoons require something a bit gentler in the caffeine department (assuming you want to eventually fall asleep at night, anyway). Lately I’ve been enjoying iced green tea lattes as a mid-afternoon pick-me-up—they’re caffeinated, cold (important during this late summer humidity), and sort of like a sweet treat and drink in one. Even better, they’re extremely easy to make—and today I’m going to share how I make mine! My iced green tea latte recipe is delightfully simple—all you need is a blender and four ingredients. 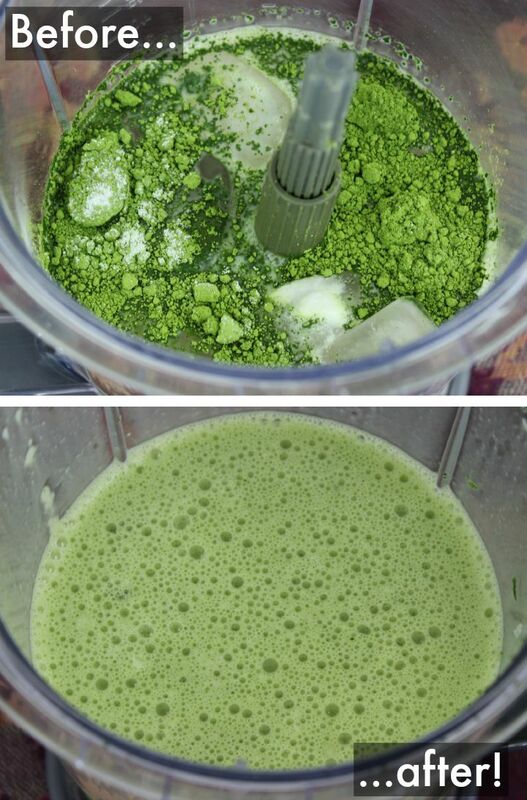 Matcha is highly concentrated green tea in powder form. Traditionally one would prepare it by whisking it into a bowl of hot water with a wooden hand whisk, but in this case the blender will do the work for us. Yay! Zing™ Zero Calorie Stevia Sweetener is made with extract from the leaves of the stevia plant. 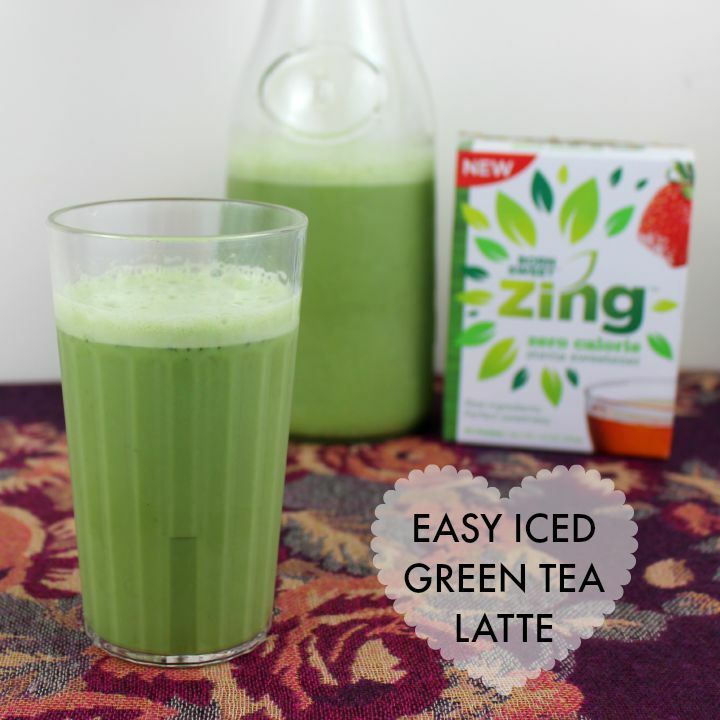 I like to use Zing™ in my smoothies and blended drinks—nothing wrong with enjoying sweet treats every now and then, but I like to keep my beverages on the low calorie side whenever possible. It’s also great because it has a highly concentrated level of sweetness—one packet of Zing™ Zero Calorie Stevia Sweetener tastes about as sweet as two teaspoons of sugar. Yowsa. I always use almond milk, but pretty much any kind of plant milk (or even dairy milk) will do. I’ll bet you know what this is, right? Place everything in a blender. Pulse a few times to break up the ice, then blend until semi-smooth. Pour it into a nice tall glass, and that’s all there is to it! Want to give your afternoon drinks a little Zing™? Right now you can request a free sample of Zing™ Zero Calorie Stevia Sweetener—just visit this link! And don’t forget that Zing™ can be used for more than just drinks… it’s great for sprinkling onto fruits, cereals and other foods too. 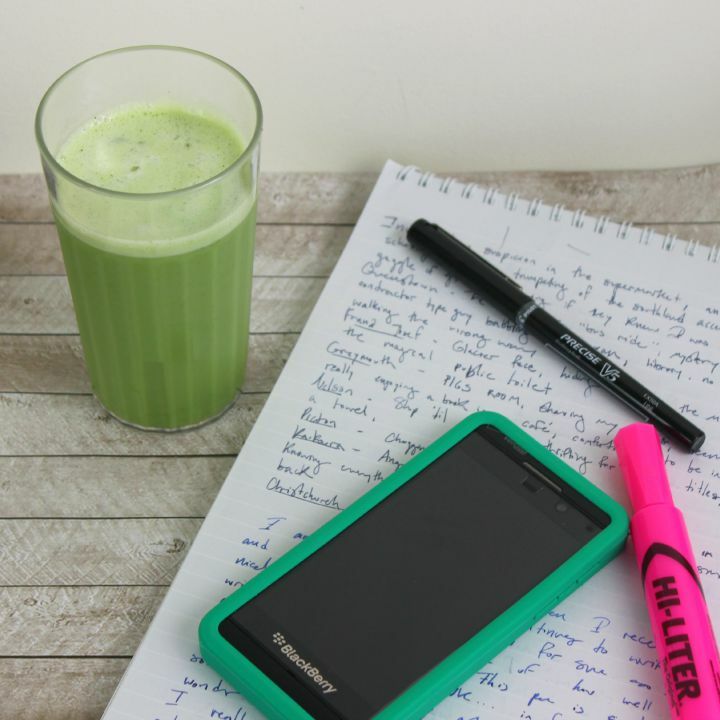 Are you a fan of green tea lattes? 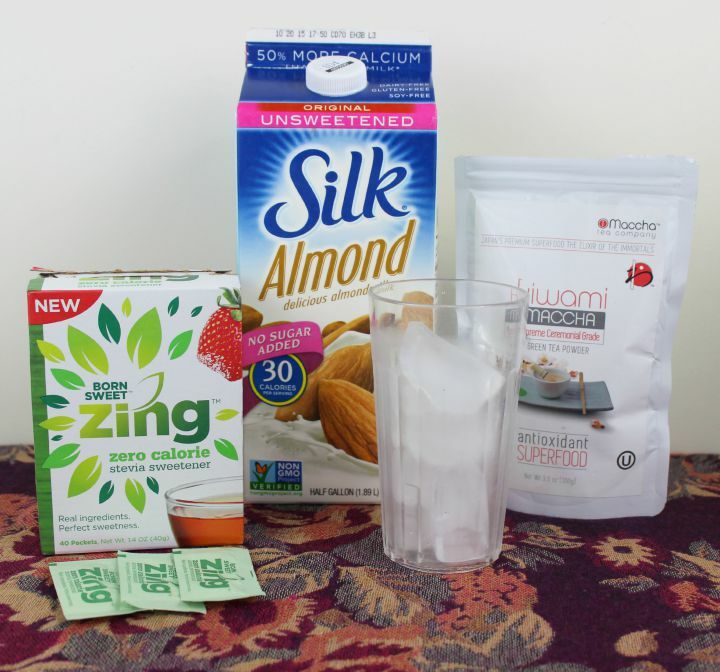 What are your favorite drinks to add sweetener to? Let me know in the comments!